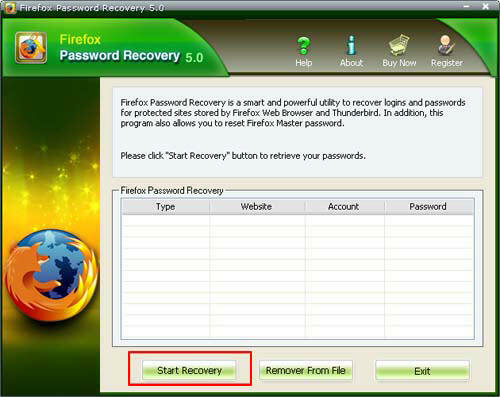 How to recover saved password for Firefox,Thunderbird. 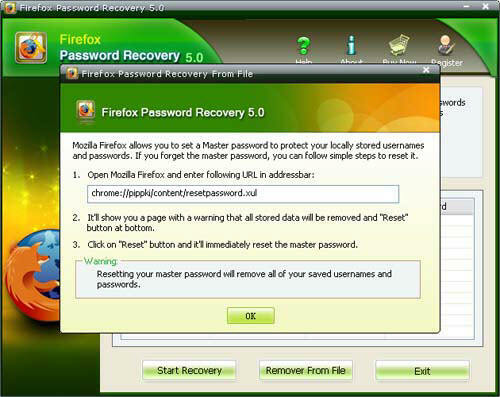 Tips: Below are the steps to recover logins and passwords for protected sites stored by Firefox Web Browser and Thunderbird. Firefox Password Recovery 5.0 also allows you to reset Firefox master password. To see the detailed information, please refer to the "Help" document integrated in the program. 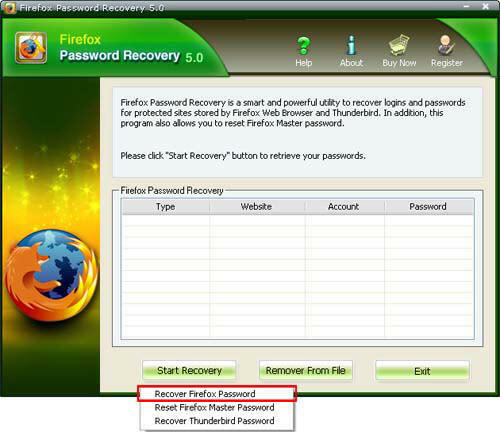 How to recover website passwords saved in Firefox Explorer, as well as AutoComplete passwords ? 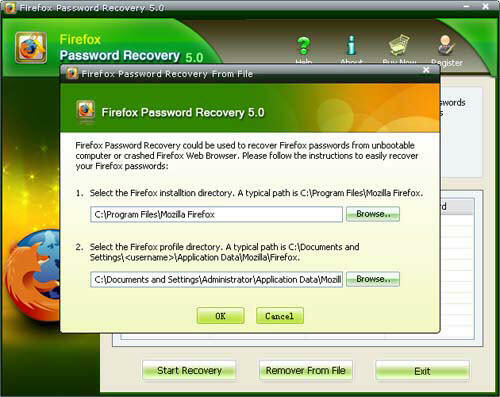 Step1: To get a list of all passwords stored in Firefox Web Browser , press "Start Recovery" button and select "Recover Firefox Password" item from the drop-down menu. Step 2: The passwords together with their website URL and user name will be displayed. 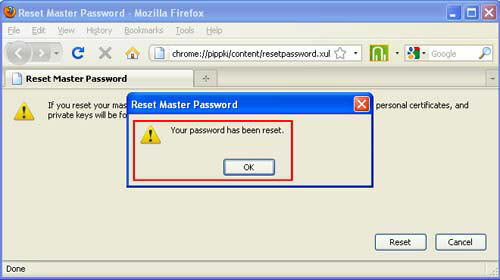 How to Reset Firefox Master password? Step 1: To reset thunderbird password , press "Start Recovery" button and select "Reset Thunderbird Password" . Step 2 : The passwords together with their Website URL and User name will be displayed. 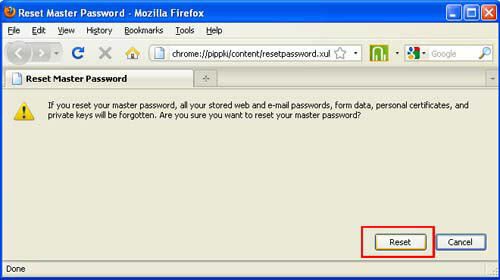 Step 1: To reset Firefox master password , press" remove from file" button and a windows will pop up. Step 2 : Select the Firefox installtion directory and select the Firefox profile directory and click "ok" button. The passwords together with their Website URL and User name will be displayed.